Mental illness is a stubborn foe. It affects how we think, feel, and act. Advocates must dispel the perception that depression and related conditions are a private concern that belongs in the shadows. Progressive business leaders understand that mental health is a shared concern and that promoting mental health and overall organizational health are the same fight. Today is World Mental Health Day which seeks to build awareness and drive education and advocacy. Since its first observed year in 1992, we have made modest progress in raising awareness and in reducing the stigma around mental health issues. A report from the Mental Health in the Workplace Summit held earlier this year confirms how far we have to go. Mental illness is the leading cause of disability for U.S. adults aged 15 to 44. More days are lost to absenteeism due to mental health than to other illness or injury. One in five U.S. adults experience mental illness in a given year, and only 43% receive treatment (Deloitte). Mental illness costs the global economy $1 trillion in lost productivity, with over 300 million people suffering from depression (World Health Organization). It is in the best interest for everyone to continue to destigmatize mental illness and to connect affected employees with the comprehensive care they need. Leadership and HR must ensure that employees know how to access that support and care even if they do not wish to disclose an issue with their manager. Beyond these fundamental steps, business leaders should keep in mind the following four strategies for promoting mental health and building overall organizational health. A common theme heard from those who battle mental health issues at work is a feeling of powerlessness. When we have what psychologists call an internal “locus of control,” we feel in charge of our destiny. When on the other hand that locus of control is external, we think life is happening to us, and we are passive bystanders. Fostering a sense of autonomy amongst employees should be a central goal for all business leaders. Employees feel autonomous when they are granted a meaningful role in decision-making, when their input is taken seriously, and when they have the latitude to exercise creativity and independent judgment. Empowered employees are more engaged, productive, and loyal. Authentic leadership activates a culture of autonomy. Such leaders listen to, engage and trust their employees. They do not micromanage them. Instead, leaders provide parameters, tools, and resources for the project or task at hand and allow employees the freedom of choice—empowering them to determine how to achieve goals. 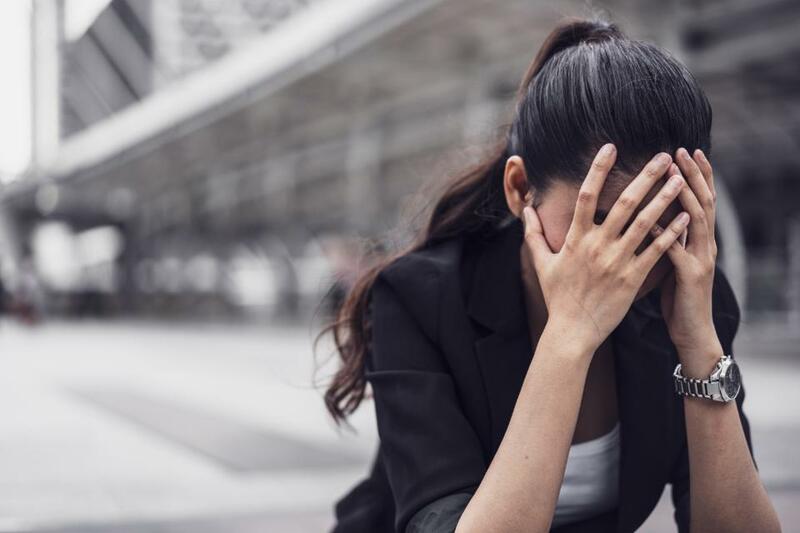 In a culture that actively promotes a sense of autonomy, employees are less likely to fall prey to feelings of powerlessness that spiral into depression and anxiety. Work-life balance is an overrated concept. Alternatively, most of us are seeking work-life integration. Work and life do not compete with one another. They are part of an integrated whole. Ideally, we must embody the same level of enthusiasm, engagement, and energy across all areas of our life. One of many ways for employers to support their employees is to offer a flexible work policy so that they are better able to manage all aspects of their life with less pressure. Employers who understand this truth will have an advantage in attracting and retaining top talent. They will also have healthier employees who feel the freedom to meet personal and professional needs without pitting one against the other. Flexibility in the modern workplace takes many forms. For some, it is the freedom to work flexible hours. For others, it is the ability to work remotely for part of the week. The bottom line is that leaders understand it is not important when and where the work gets done. Employees who are granted the freedom to perform on their terms will pay high dividends on that investment. Vulnerability may not immediately stand out as a strategy of a Fortune 500 company. However, risk-taking is imperative to innovation in today’s world and it requires vulnerability. Interestingly, the summit report cited earlier found that mental illness takes an exceptionally high toll on knowledge workers whose mental acuity and creativity are essential job requirements. Sharing and collaborating on ideas can be risky business. Only teams that cultivate authentic trust amongst themselves will benefit from the free flow of innovative ideas. In teams with a solid foundation of trust, individuals will feel safe and comfortable coming forward with personal struggles that might impact their work. Investing in trust pays off in higher performance and improved mental health. Building resilience is the centerpiece of my corporate wellness practice. Resilience is the ability to not only survive amidst the challenges that life and work dole out to us but to emerge from those challenges stronger. Like a rainy-day fund, it is a resource we tap into during bad times but must invest in when skies are clear. Resilience flourishes in organizations that invest in the well-being of their employees. A comprehensive, holistic wellness program starts with a corporate wellness assessment. Uncovering the needs, desires, and goals of your employees and organization is crucial in tailoring an effective employee wellness strategy. Stress management and mindfulness workshops, resilience training, and coaching are vital offerings for your employees. Attending to the mind-body connection is also critical, as depression and anxiety often first find a home in the body. Conversely, a healthy body is more resilient in the face of unexpected stress. Conscious business leaders view investing in emotional and organizational health as more than a preventative measure. The psychological capital of an organization is an invaluable resource. It pays off to safeguard it in the form of improved mental health, employee engagement, and productivity. Our mental health shapes how we make choices and how we relate to those around us, especially under pressure. A resilient organization enables your employees to thrive amidst challenging and uncertain times. This article was written by Naz Beheshti from Forbes and was legally licensed through the NewsCred publisher network. Please direct all licensing questions to legal@newscred.com.